Scale and rust remover concentrate. 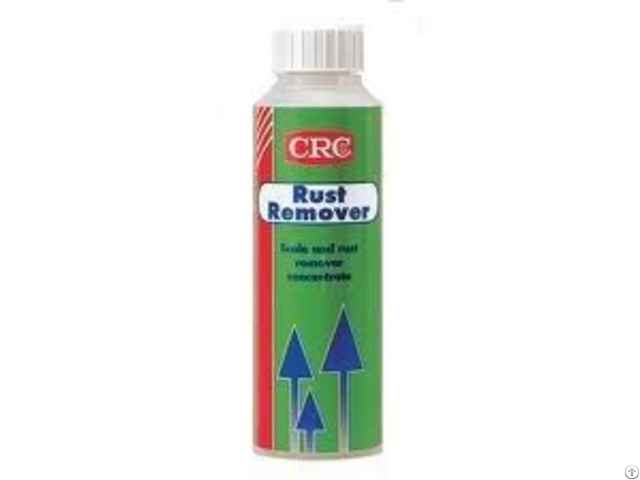 CRC Rust Remover is a phosphoric acid based concentrate used to remove rust and to clean metal surfaces. It cleans tarnish, oxidation, stains, fingerprints and scale from iron, steel, copper, brass and aluminium. Excellent wetting capacity on both ferrous and non-ferrous metals. Contains an inhibitor to reduce the attack of the metal surface and to prevent the formation of hydrogen. Can be diluted with water to any concentration needed (see Directions for detailed information). Specifications : meets the performance requirements of Mil-C-10578 (type III). Removal of metal and rust stains from porous materials. Heavy rust and scale (ferrous metals) : dilute concentrate with 3 parts water. Metal should be immersed 20 minutes to 1 hour. Remove and rinse metal with water and treat immediately with CRC 3-36 for water displacement and corrosion protection. Heavy corrosion (non-ferrous) : dilute concentrate with 7 to 10 parts water. Metal should be immersed 20 minutes to 1 hour. Periodically check non-ferrous metals. Remove and rinse with water. Treat immediately with CRC 3-36 for water displacement and corrosion protection. 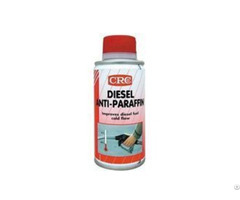 As a metal cleaner (ferrous and non-ferrous) : dilute concentrate with 15 to 20 parts water. Metal may be immersed, brushed or wiped until the desired brightness is obtained. Rinse with water and treat immediately with CRC 3-36 for water displacement and corrosion protection. Heating (up to 65°C max. ), agitation or wiping will speed up cleaning action. Quicker results are obtained by prior removal of oil and grease, using CRC Industrial Degreaser or CRC Fast Dry Degreaser. 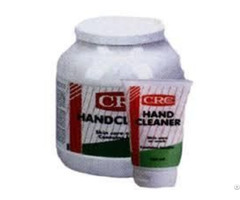 CRC Rust Remover is mildly acidic; therefore, reasonable care should be taken. Rubber gloves and protective goggles are recommended. Equipment used must be made of acid resisting material such as stainless steel, wood, rubber, plastic, glass or ceramic. A safety data sheet according EU directive 93/112 is available for all CRC products.